Hiring a good copywriter is a big deal. 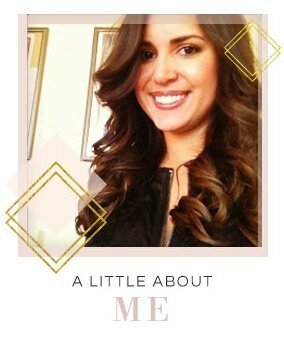 After all, you’re entrusting someone to write as you or representing your baby– which is your business! So it’s just as much of an emotional process as it is a big business decision. If you’re lucky enough to have found your dream copywriter, that’s great! But be sure to ask these key questions before you sign on that dotted line. 1. How many drafts do I get? The most popular question I get from copywriting clients is how the revision process works and how many drafts they’ll see. It’s one of the most popular questions to ask your copywriter because as the client, you want to make sure the copy matches exactly what you’ve envisioned! Most copywriters work on a standard two-revision process which means you’ll get two drafts and then the final product. In most cases, two revisions is more than enough if the copywriter has done their job researching your goals, your business and the vision you have for the copy. There may also be a clause in the contract that specifies additional fees if you’re wanting revisions beyond the standard package offering. 2. Can I purchase rights to this content? Did you know writers often re-sell their work to other publishers? If you want to make sure you own all rights to the content being produced for you, that’s something that should be negotiated and specified in the contract. (If you want to read more about publication rights, check out this site). This doesn’t apply for all copywriting situations. For example, if you’re in the market for a new About page, copywriters aren’t going to re-sell what’s been originally created for you. That just doesn’t make sense. If, however, you’re buying a blog post on “Hot 2017 Spring Fashion Trends” you may want to retain all or partial ownership of that content and be clear on the rights you have to promote it. As a rule of thumb, I ghostwrite and give rights to all of my blogging clients so that they can promote and re-promote the content again and again. This is just the scenario that fits best for small business owners and bloggers. But when it comes to a publishing company, everything is negotiable. Handing over rights means I can’t resell that piece of content again, potentially lowering a future income stream. So if you’re interested in purchasing ALL rights, keep in mind that also typically equates to higher fees. 3. Do you do keyword research? SEO matters! So one of the questions to ask your copywriter may be if keyword research is included, if it’s an extra fee or if it’s something you would need to supply. Most of my clients supply any keywords they may want integrated into the copy along with the priority level of each. 4. What’s the best way to communicate with you? This question isn’t really just for copywriters, it applies to anyone you may be hiring or outsourcing work to. It’s so important to have an open and solid line of communication so addressing the best way to communicate from the get-go helps establish the right expectations for all parties. 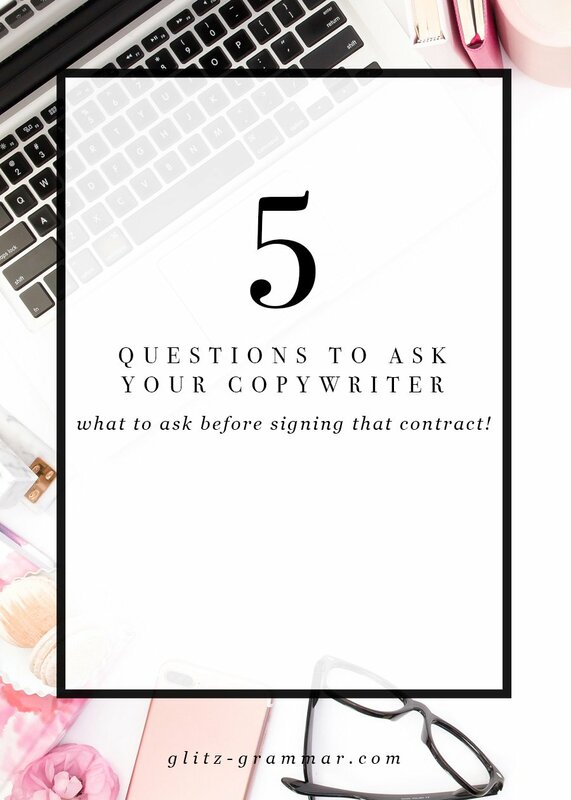 5 questions to ask your copywriter before signing that dotted line! 5. Does this fee include publishing? The latter saves an extra step for you, but does involve a bit more trust. For most website copy or print projects, it’s pretty standard to submit a document which the client would then hand over to a webmaster or graphic designer. For blogging, however, it’s up to you what you prefer. A lot of writers are familiar with CMS tools like WordPress so they’re comfortable and confident drafting a blog post for you right within WordPress. If you want to do this yourself, however, or have a VA handle it, that’s an option, too. And just like the other instances we’ve covered above, having someone upload the content for you may be an additional fee, depending on your copywriter. 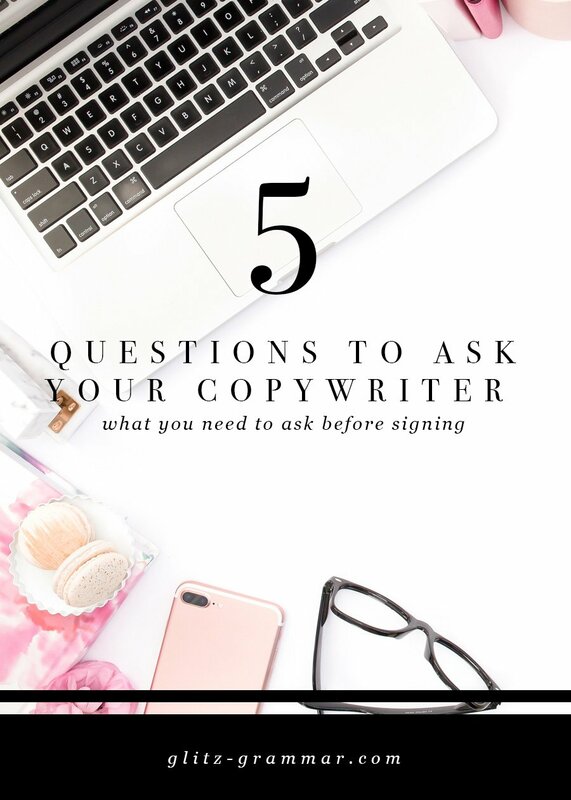 Before you sign that contract with your copywriter, be sure you keep this list of questions to ask your copywriter handy! Asking about publishing rights, communication, keyword research, the revision process and publishing process will ensure everyone is on the same page. Have you hired a copywriter before? What are some questions you would suggest asking?